Tart or Sweet, Yellow or Red- we've got 'em! Can you find your way out of our Corn Maze? Deal’s Orchard is a 4th generation Apple Orchard located in Jefferson, IA. We have other seasonal produce as well; sweet corn, tomatoes, squash, and pumpkins which you can find in our Apple Barn or at local Farmer’s Markets. 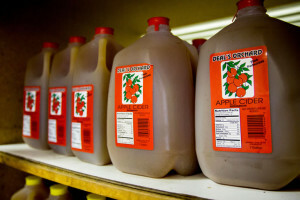 You’ll find our apples and cider in Central Iowa grocery stores. 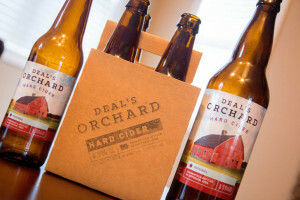 Deal’s Orchard ferments & bottles our own Hard Cider on site. Our Hard Cider is carefully crafted in small batches with a special blend of apples and comes in 12oz single bottles, 4 packs, or 22 oz bottles. Available in Original, Raspberry, or Peach; come out and try some today! 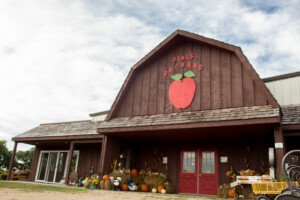 Want to keep up with the latest happenings at Deal’s Orchard? While you’re here, make sure to sample our award winning sweet cider and try one of our free sample apples. 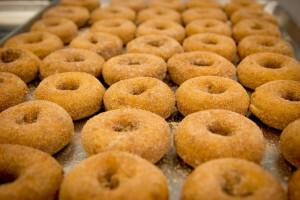 Or take home a homemade apple pie and our freshly made Cider Donuts (fall weekends only). Best place to take your family for a good environment with lots to do and at a great price!!!!!! We’ll go every single year! My kids LOVED all the great activities! Kept them busy and running for 3 hours. LOVE THIS PLACE! We go back every year! The festival weekend is a blast– there is so much to do & yummy goodies to take home– apple dumplings, caramel apples, pumpkins! All of the workers at the orchard are friendly as well. Best cider in the state.. Hot or cold… Friendly service….ample parking…great baked goods… I drive up from Des Moines for the cider…. My kids & I love visiting! 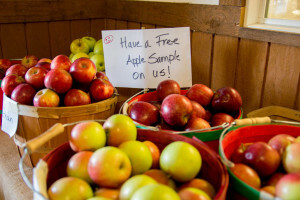 Apples, Cider, caramel apples, pumpkins, hayride, pony rides & all the great photo ops! 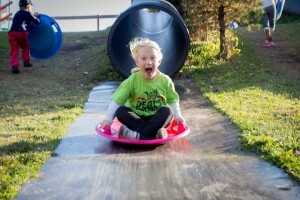 I love watching my grandchildren having a blast on the jumping pillow,hayrides, picking out pumpkins… there’s so much to do at Deal’s Orchard! !